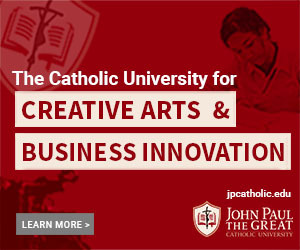 It’s a bit of an odd time to be a young Catholic trying to break into the film and TV industry. I mean, I suppose it always has been: if you love pop culture, while trying to love Jesus more, you’re always going to be grappling with the friction between God and mammon, between what is popular and what is right. But in the past eighteen months especially, that conflict has taken on a new dimension for those of us in that position – one that in truth has always been there, but has really lit up only recently. Namely, that of gender. My peers and I find ourselves alienated from the cosmopolitan wokeness of people in “the industry” on this topic (e.g. “gender is an oppressive construct of the patriarchy!”), but also skeptical of the somewhat-too-confident prescriptions of their conservative counterparts (e.g. “no woman should accept a compromise between career and motherhood!”). Of course, there’s never been much accommodation for the grey area in which we now find ourselves. The line between Catholicism and mainline feminism has been firmly drawn since at least the sixties. Feminism, from the former’s standpoint, has stood for abortion, the pill, the denigration of family life and of sexual ethics in general. And for those feminists, Catholicism has stood for, well – institutionalized misogyny, to put it simply. Each side has contemptuously considered the other as tilting at windmills, and therefore refused to take their concerns seriously. But then Harvey Weinstein happened, and Louis C.K., and Les Moonves and more. And it became hard to look at their atrocities as just isolated incidents. Maybe there was – is – something to the left’s constant fretting about the patriarchy, about power structures composed of boys’ clubs who look out first and foremost for their own (golly, I can’t imagine where else that has happened). What was even harder, though, was to deal with the assertions that this nastiness had seeped into places we otherwise assumed safe. Even if the stories about Weinstein and Louis C.K. were appalling, they didn’t really upset the established narrative we had of Hollywood’s moral depravity. But then Pixar – possibly the only major Hollywood production company universally beloved on both sides of the aisle – got caught in the crosshairs. Oof. To be fair, the accusations leveled against John Lasseter were mercifully nowhere near as severe as those that had first sparked #MeToo. There was room to wonder whether he was another symptom, albeit a milder one, of the same disease characterized by Weinstein…or merely an undeserving casualty of widespread moral panic. Now a year later, the question of John Lasseter – and of the breadth of #MeToo’s impact – has dramatically resurfaced, almost as if on cue. Earlier this month, almost exactly a year after the formation of women’s advocacy group Time’s Up, Skydance Media announced their hiring of Lasseter as head of their budding animation division. Groups like Time’s Up immediately condemned this development, stating that Lasseter hasn’t yet made sufficient restitution to merit a comeback, and that therefore Skydance is enabling “a broken system that allows powerful men to act without consequence.” I’m not going to try and evaluate that claim, but the example of Pixar and Lasseter is worth revisiting now that it has been thrown back in the limelight. If nothing else, it gives me a timely excuse to nosedive into a big pile of my favorite topics: film, gender, and Catholicism. The trajectory of John Lasseter’s career seems in many ways to mirror that of Walt Disney himself – one characterized by an almost supernatural combo of technical innovation and brilliant storytelling instincts. Like Disney, Lasseter had a single-minded passion for animation that pulled all sorts of people and resources into its orbit, eventually creating a juggernaut that transformed an entire industry. And as with early Disney, the product of Lasseter’s genius was pretty undeniably wholesome. I was raised by parents who viewed Disney’s contemporary offerings with some suspicion – my mom wasn’t a fan of the swoony Barbie-shaped princesses, for one thing – but the whole family was 100% on board with every Pixar film that came out, after A Bug’s Life turned out to be so much better than any of us had expected. And we found that all of our friends, Catholic and otherwise, loved Pixar as well. The company had somehow, magically, nailed the “four-quadrant” film while still elevating it, and they did so over and over and over again. And then, as if that weren’t enough, Lasseter kicked off what is shaping up to be Disney’s next “renaissance” after being named chief creative officer for all the studio’s animated films, overseeing such hits as Frozen, Moana, and Zootopia. So, if we’re to judge a tree by its fruits, it would seem obvious that the man who founded Pixar was a very good tree. On the other hand… as we Catholics are painfully aware, great treasure is held in earthen vessels. And the more I look at it, the more it seems that the upheaval at Pixar reflects this truth. I was initially skeptical last year when the news broke about Lasseter, wondering if it was someone with beef against Pixar using the cultural moment to their advantage. Or perhaps just another case of the moral panic du jour slipping out of control. In any case, going after him felt a little like the smear campaign against Santa in Miracle on 34th Street – an attack on the sacred, of sorts. That is, until I came upon this rather exhaustive account of the overall climate at Pixar, written by Cassandra Smolcic, a female former employee of the studio. Chances are you’re reading this essay at the moment because you’re procrastinating on something else, but if you can spare the time, I highly recommend you read hers as well. Despite its clickbait-y title, her account is very measured and intelligent in its approach, while nonetheless honest and unsparing. But – it is also very long, so let me sum up. In 2010, shortly after I’d started working on my third feature film, Cars 2, my female art department manager approached me to relay some unsettling news. “We’ve decided it’s best if you don’t attend art reviews on this production,” she announced, looking over the wall of my cubicle. “John has a hard time controlling himself around young pretty girls, so it will be better for everyone if we just keep you out of sight,” she said with a shoulder shrug, referring to our film’s director and the company’s CCO. Before I had a chance to respond, her floating head disappeared. …Reeling from the news that the (sic) I was being thrown out of our weekly art reviews because of the big boss’s lasciviousness, I wasn’t even sure who to direct my anger towards — knowing the problem was so much bigger than John. The legendary filmmaker presumably had no idea his entourage of yes-men were going around preemptively removing young women from his path, and I’m sure my manager wasn’t the primary brain behind this conflict-avoiding strategy. My gut told me that this exclusion tactic came from mid-level managers who were shielding John (and the company at large) from a potential lawsuit, and that it had little to do with protecting me. It was clear that the institution was working hard to protect Lasseter, at the expense of women like me. I was crushed to have my participation in the filmmaking process — and quite possibly my career trajectory — thwarted simply because I was female. Missing weekly art review meetings meant I wouldn’t be able to pitch, articulate my ideas or discuss my work with the director one-on-one like everyone else on the team. It meant I wouldn’t be present for important conversation about his vision for the film, or to listen to the feedback and thoughts of a man who’s known around the world for his creative genius. One of the most striking things about Smolcic’s story is an ironic observation she makes: that this unhealthy gender dynamic was alive and well at a cutting-edge entertainment company ensconced in the Bay area, arguably the single most liberal region of our entire nation. And, arguably, the most wealthy as well. Which begs the question: if one of the leading companies in this hub of development and progress can’t seem to do away with misogyny, and in fact has been actively accommodating it…then perhaps something is missing in our notions of development and progress. Because that will of course influence our ideas of how men and women ought to interact. So now I would like to look backwards, to ancient philosophy and then the middle ages. Before you panic (or perhaps cheer) at the thought that I am about to call for a revival of chivalric codes of conduct, let me specify that I ultimately want to look at one particular medieval thinker. One who was a saint, and also a woman: the abbess Hildegard von Bingen. She proposed a vision of gender relations – one could say of sexual theology – that, to my mind, offers a way out of the frustrating fog between feminism and the patriarchy, and that anticipates JPII’s beloved Theology of the Body. But first, a look at some ancient philosophy for context. Let me first dispense with any impression you might have that I’m some closet scholar. I’m not, I just happened to recently stumble upon this excellent piece that looks at von Bingen’s thought, and contrasts it with prevailing ideas of gender relations both past and present. In brief, when we look at the history of western philosophy, we find that a whole lot of it has descended from two “common ancestors:” Plato on the one hand, and Aristotle on the other. The enormous influence of both these thinkers, not surprisingly, extends to our ideas of gender, although you might not have heard about that in your Intro to Philosophy course back in the day. Aristotle is the forebear of what we could call “gender polarity:” the idea that men and women are fundamentally different. But because of various details of Aristotle’s philosophy, this difference between men and women turns out to be one of inequality rather than complementarity. A man is a more complete human, and a woman… isn’t quite. A lot of the more “old-fashioned” views of gender inherit this idea, even if it is disguised a little bit – for example, in popular Christian author John Eldredge’s book Wild at Heart, which paints men as fundamentally brave adventurers and women as, well…damsels in distress, although he doesn’t use quite those words. Then there is Plato, who was far less concerned than Aristotle with the physical body of the human person and much more with the rational mind – which is of course shared between men and women. Broadly speaking, Plato is the forebear of what we could call “gender equality” — the notion that the biological distinctions between male and female have no essential bearing on our identity as human. We can see this idea in a lot of contemporary feminism, which seeks to dismantle the inequalities set up by the “gender polarity” view. The primary objective, according to this idea, is the redistribution of power – taking it from those who have it in excess (men) and giving it to those who lack it (women). It’s pretty undeniable that #MeToo, for example, brought about this redistribution at least for now, and it’s hard to argue that that isn’t a good thing. But the egalitarian view stops far short of being a true solution – by making the redistribution of power its end goal, it winds up “redistributing” pretty much everything about gender that could lead to a power imbalance. Which turns out to be pretty much everything about gender, period. For example: the American Psychological Association recently released guidelines that label “traditional masculinity” (eg stoicism, aggression, etc), as a red flag if not an outright pathology. While this is a well-meaning attempt to promote men’s psychological health, at its root it’s based on the assumption that “psychological health” has a more or less uniform look regardless of gender. And this is characteristic of the the egalitarian view. Rather than harmonizing the sexes, it blurs them together, requiring men to be less masculine and women less feminine until the two are indistinguishable. Ironically, this results not so much in leveling the playing field as burning and salting it. To sum up: while Aristotle’s polarity turns “the game” into a dull, disappointing blowout (a man’s world, in other words), Plato’s egalitarianism ultimately ends up cancelling it altogether. This brings us (whew) to St. Hildegard von Bingen. If ever there were a “renaissance woman,” she was it: scientist, mystic, philosopher, theologian. Like Aristotle, her philosophy was deeply influenced by natural science – but unlike Aristotle who saw the natural world as a hierarchy with human males at the top, she viewed it in sacramental terms, in which all things are interconnected by God’s grace and providence. Consequently, she saw men and women as equal in dignity, albeit with distinctly different gifts. We can call this “gender complementarity,” but it is very different from the sort of “complementarity” often championed by such figures as John Eldredge, which is often just gender polarity in disguise. It isn’t that men and women are “completed” by each other – a man is fully human, as is a woman, but each expresses that humanity in a beautifully unique way. And the question of power, which dominates the current discussion about gender roles, becomes something of a non-issue. After all, in a sacramental worldview, true power belongs to God alone. Whatever power we may enjoy in this life, relatively speaking, is purely a gift and not truly our own. Consequently, for von Bingen gender is defined more by love: masculinity and femininity are each unique expressions of God’s love, both of receiving it and sharing it. And after centuries of getting lost beneath the tug-of-war between gender polarity and gender equality, this more sacramental view has been reintroduced and developed in a big way through John Paul II’s Theology of the Body. How we relate to each other as men and women, and how we understand ourselves as individuals, depends first and foremost on our relationship with God. The many dysfunctions we see in males and females, wounds in self-image that lead to such diseases as body dysmorphia or toxic masculinity, are the direct result of our dysfunctional relationships with our Creator – of original sin, in other words. And ultimately, such dysfunction will not be fixed through workplace policies or lobbying or legislation. At the risk of repeating a cliche, healing of these wounds begins and ends with personal conversion. So to bring it back around – what bearing does all this have on the current kerfuffle about Lasseter coming on at Skydance? Or on the climate at Pixar, or in Hollywood generally, or on #MeToo overall? Well…it has enormous importance, although sadly it probably won’t make much difference. I don’t think Skydance is going to get it right as far as healthy gender relations in the workplace are concerned, although if they backpedal enough they might have a hope of appeasing Time’s Up. Nor will Pixar, most likely, nor Hollywood as a whole. Yes, the Weinstein scandal may have ended the tyranny of the casting couch, and Pixar’s debacle will likely make male executives at least more prudent if not more sensitive overall. But as long as we as a culture continue to lean into an egalitarian view of gender relations, or bounce back to a more old-fashioned, polarized one, we will keep missing the point. As for Lasseter himself – well, that is between him and the Lord. Perhaps he really has undergone the soul-searching and personal conversion that he claims, which is what Skydance is betting on. Perhaps not, which is what Time’s Up is betting on. But no amount of policies or press conferences can adequately address that. 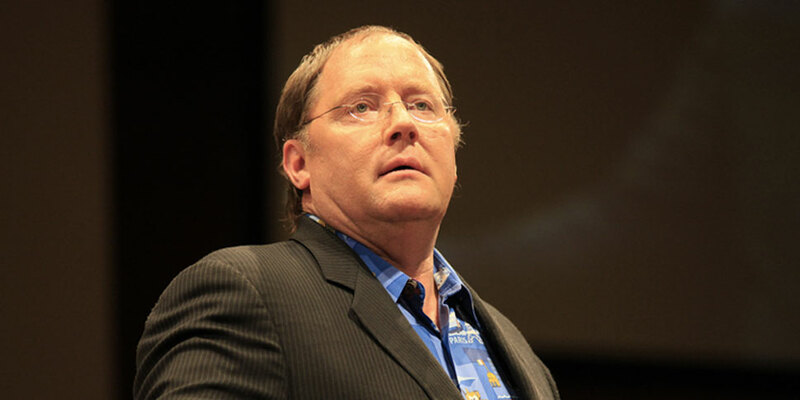 It all depends on whether John Lasseter, as an individual, can come to know and love himself the way his Creator knows and loves him – as a man, a son, a uniquely male child of God. If he can do so, then his treatment of women, and of other humans in general, will naturally become as beautiful as the films he has created. Like so many social problems, the issue of men and women and how they hurt each other must begin at the individual level. It must begin with each of us, man and woman, making the individual choice for love rather than power, to understand ourselves first as unique sons and daughters of God. Without him, we are powerless, but with him we can accomplish so many (different!) things. Article Image Credit: Wikimedia Commons, Photo by Paolo Sacchi, Author “Meet the media Guru”, license cc-by-sa-2.0. Image has been cropped. This article is so well thought out and the insight is incredible. It is a hidden gem that should be a topic for discussion in every family with young adults.